There are few things honey can’t soothe! The next time life hands you lemons, reach for assorted honey-filled candies to help with life’s little boo-boos! 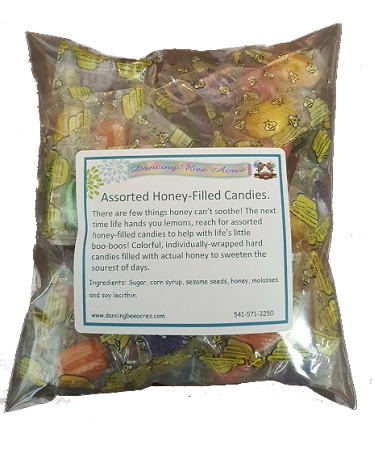 Colorful, individually-wrapped hard candies filled with actual honey to sweeten the sourest of days. Comes with approximately 80 pieces per pound.